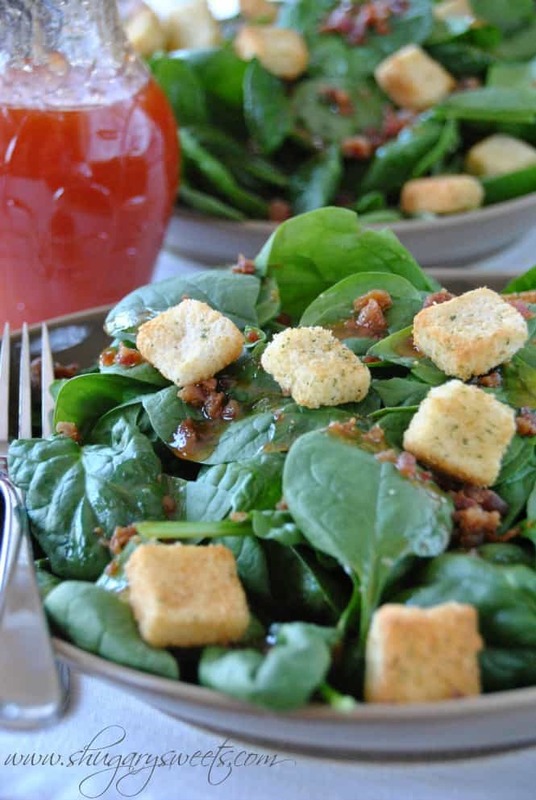 This delicious Spinach and Bacon Salad is a breeze to prepare! The sweet dressing with the salty bacon keeps you wanting more! I’m not sure where this recipe originated. 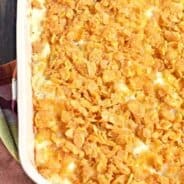 I only know that my mom would make this recipe for the family and we would DEVOUR it. I mean seriously, it has bacon on it! My kids love this salad too, and I love that they are eating a whole bowl of spinach! The dressing can be made in advance to let the flavors mingle. You also may have leftover dressing, which happens in our house because my husband and a couple of my kids only like a little bit drizzled on their salads. But don’t worry, this dressing is delicious on ANY salad. It’s also great on pasta too. For a quick lunch, I have cut up some fresh veggies, added cold pasta and drizzled this dressing on top! YUM. In a bowl, whisk together the oil, vinegar, ketchup, sugar and worcestershire sauce. Refrigerate overnight or several hours to allow the flavors to combine. (Not required, but makes a little difference). To serve, add spinach and bacon bits in a large bowl. Top with croutons and serve with dressing. ENJOY! 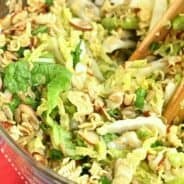 Want other great dinner and salad ideas? 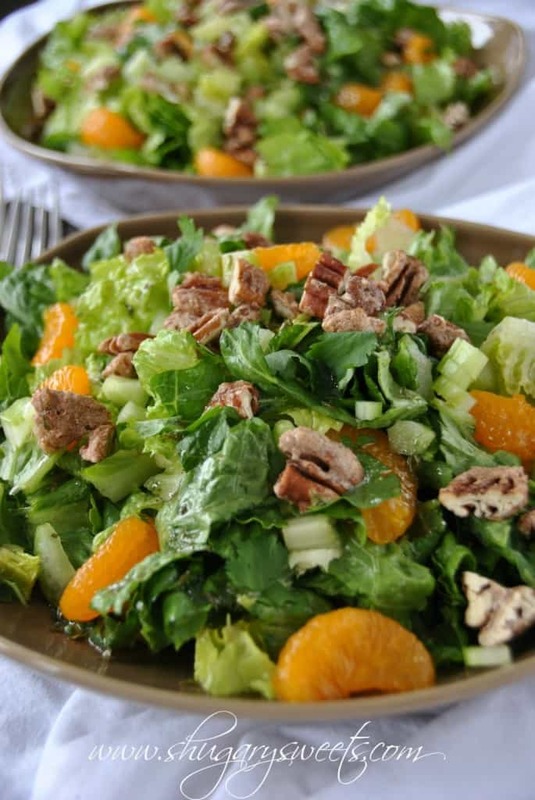 This Mandarin Salad is one of our family’s favorites! Filled with romaine, sugar coated pecans and mandarin oranges. 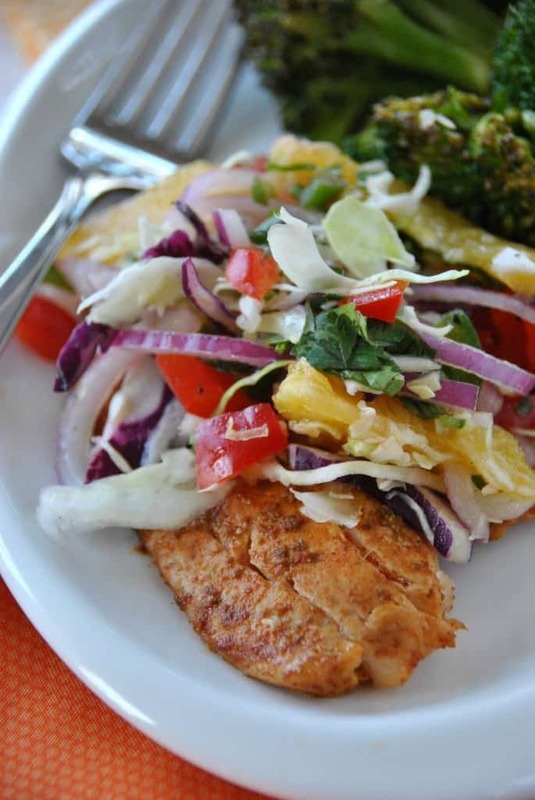 This Spicy Grilled Fish and Citrus Slaw is a meal on it’s own. And it’s so pretty and colorful too! 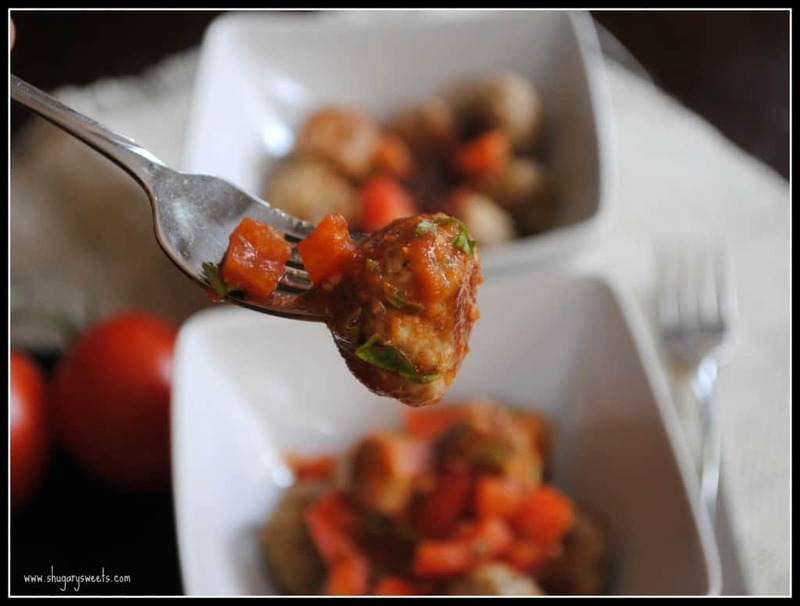 These Turkey Meatballs are paired with a Bruschetta Sauce. No pasta required which keeps them on the healthy list! Can be your dinner or appetizer! For more delicious, healthy meal ideas check out some of these…. This is my kind of salad and the photos are gorgeous! Thanks Jen! 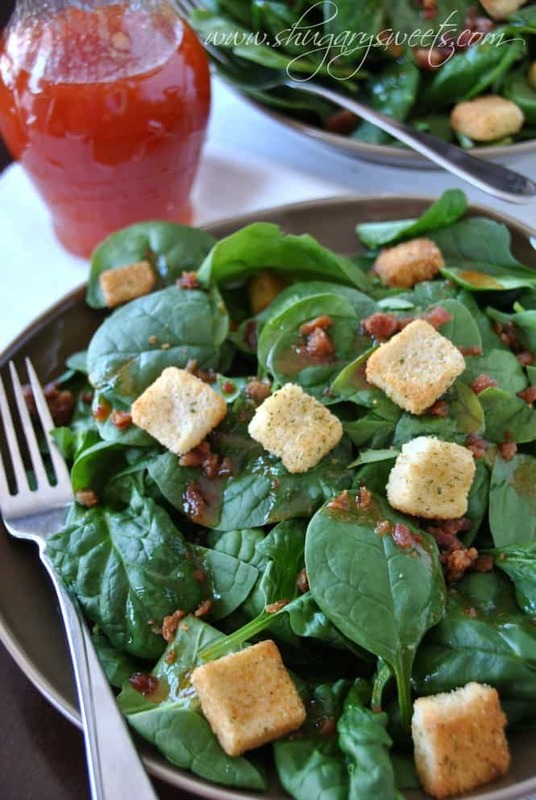 Salad with bacon, it’s like the best of both worlds! The salad looks amazing and everything is better with bacon! The ketchup in the dressing threw me for a moment but it’s intriguing enough for me to want to try this! Of course, I will be the lone eater of this as none of the other family members like an oil/vinegar dressing…they’re addicted to the creamy calorie filled ones. But they do like pasta salads, so there is hope!! I’ve kept this dressing in a jar for up to 2 weeks, shake and use! ENJOY. This makes me not want to wait for our spinach to pop up out of the ground! We eat fresh spinach all summer long. So good adding the bacon!! Very interesting salad dressing! Will have to give it a try. 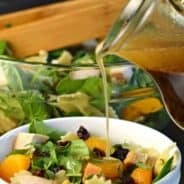 I smother all of my salads with balsamic vinegar! 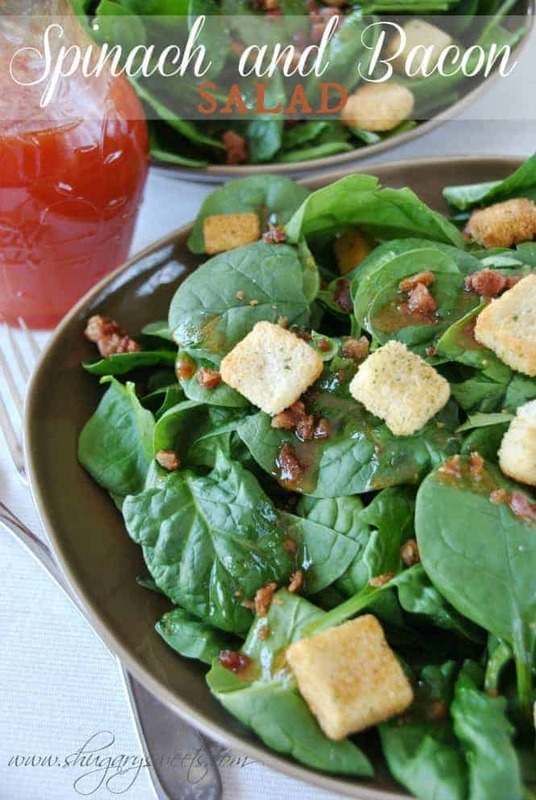 Spinach and bacon are a match made on heaven, and that sweet dressing can only make it better! Sounds great, Aimee! WHO ARE YOU AND WHAT HAVE YOU DONE WITH AIMEE AND HER FABULOUS FUDGES?? Bacon makes everything better! This salad sounds fantastic! Love the sound of the salad! Great idea to use the dressing with pasta! I’m not a picky eater at all, and bacon really does make everything better!! I love a good salad, especially one that has a good dressing! And this has bacon! Bonus! This looks delish Amy! Anything with bacon is good for me! Haha, yes, I love bacon too. And it pairs so nicely with the spinach! Now this is the kind of salad I can have for dinner with nothing else and be totally satisfied! Yep, I do that often!! I have occasionally taken out the bacon (Gasp!!!) and added some grilled chicken breast. Tastes great too! 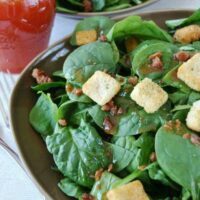 I’ve been looking for a tomato based dressing for Spinach and Bacon Salad for some time! I will have to try it out and see if it’s close to a neighbor hood restaurants we love! Have a fabulous weekend! We like bacon and it adds such a nice taste in a salad. Looks fresh and so Spring! This is one of my most favorite salads, Aimee! I was first introduced to it in college–my sorority had an amazing cook. The dressing sounds just like what she made. She added thinly sliced red onion and sliced hard boiled eggs to the spinach. So delicious! Thanks for sharing…I can’t believe I’d forgotten about this one! This salad looks awesome, I am loving the recipe for the dressing and the fact that it’s topped with bacon, of course! You got me at bacon. 🙂 I love how easy the dressing sounds. Must pin for later.